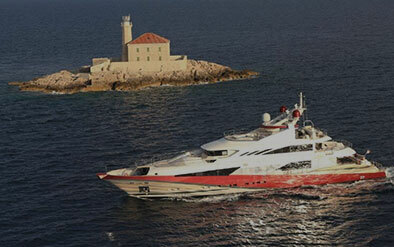 The design concept for the motor yacht ‘joyMe stems from the owners desire to produce something different and very personal – a true reflection of his taste, which he had been unable to find in existing yachts in the superyacht market. This challenge ended by producing an interior universe with many different dimensions. Each compartment of space within the yachts interior was treated as a separate entity with its own story and philosophy, benefitting from its own atmosphere, communicating different emotions and feelings to its guests. 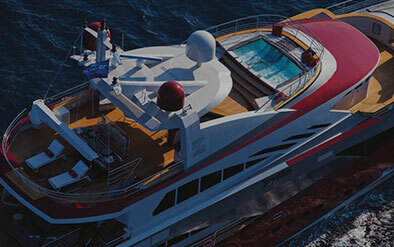 The fun starts when she hits the waves, uncompromised construction and hydrodynamically optimized hull leave nothing less then pure joy of exploring the seas on board the ‘joyMe. LOWER DECK The Gym, Finish sauna & Hammam SPA with sea view.